Having an insatiable wanderlust means that far and away places will be visited. 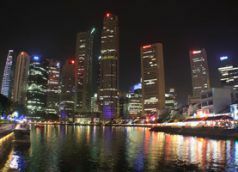 On my list are many destinations in the South Pacific, Singapore is one of them with its many kudos, including cuisine, shopping, and a very respectful, polite, and clean culture. Although, I have investigated much about Singapore and talked at great lengths.